There are very few things in this world surrounded by more hype and confusion than quantum computers. Depending on who you ask, quantum computers will either solve every problem in the known world or never prove useful at all. The problem is that the computers we already have and understand are pretty darn good at their jobs. But scientists finally found specific ways that quantum computers outperform them — and that could be a big deal in computer science. In research published today in the journal Science, researchers from IBM and the Technical University of Munich detailed the type of problems for which quantum computers may be best suited. Specifically, quantum computers will be able to solve complex linear algebra problems — that’s a type of math computer scientists use for the optimization problems at which AI excels — without engineers needing to ramp up the complexity of the computer’s circuitry. 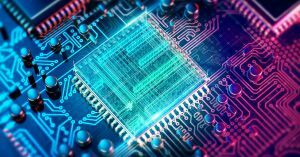 With old-school classical computers, more complex problems require more complex processors, but a quantum computer’s limited circuitry will be able to solve this type of problem even as it becomes more difficult, according to the paper. In an accompanying blog post, IBM clarified why there was still so much confusion surrounding this new development. The short answer is that they haven’t really identified any specific problems that a quantum computer would be able to handle better than a classical one. But, IBM says that wasn’t the point. Rather, they proved that such a problem exists. Claiming “hey, quantum computers will actually be good for something” may sound elementary but until this point, scientists weren’t actually sure that was the case. Even so, the IBM blog post — which suggests that quantum tech could boost artificial intelligence capabilities — sometimes sounds like a combination of dense engineering speak and hedging bets. But until we actually get a useful quantum computer up and running, we won’t know for sure. More on quantum computing: Quantum Computing Is Going to Change the World. Here’s What This Means for You.